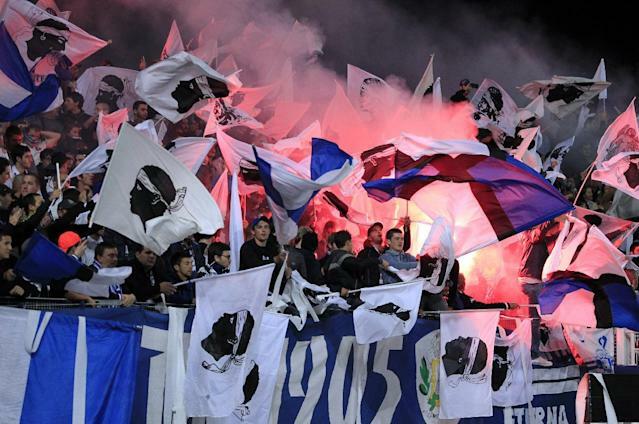 Paris (AFP) - Corsican football club Bastia defied a ban on regional flags at their home game with Monaco on Saturday when children accompanying the players onto the pitch carried Corsican flags. The ban on flags and symbols during the ceremonial pre-match introductions stemmed from an incident at a Ligue 1 match on October 18 when Bastia's reserve 'keeper Jean-Louis Leca celebrated a 1-0 win over Nice by brandishing a Corsican flag, an act described by Nice's deputy Mayor Christian Estrosi as a provocation. Saturday's incident was preceded Friday when second division Corsican side Ajaccio also sent children out onto the pitch with similar flags. Both clubs now risk sanctions from the French league (LFP). Ajaccio's deputy mayor Laurent Marcangeli contacted French Sports Minister Patrick Kanner, to complain that the flag was not a public security concern. "Politicians have to ask the LFP to be more precise on the matter," Marcangeli said. Ajaccio club president Alain Orsoni said in a message on his club's website that there was no political symbolism attached to the flag. "We're not playing at politics here, we just want our flag to accorded the same respect as any other," he explained. The LFP replied Saturday that they would in no way ban flags -- Corsican, Breton or Basque -- before, during or after any match, but insisted the flags had no place in the opening ceremonies at matches.